Click to see the full series. Helen Haskell first learned about the surgical procedure that would ultimately kill her son by reading a local newspaper article. The article described the surgery, known as the Nuss procedure, as “a revolutionary type of surgery at the Medical University of South Carolina.” It was being marketed as a new way to surgically correct pectus excavatum, a congenital condition that causes a concave chest. “[The article] said it’s safe, it’s minimally invasive, it’s a short recovery,” Haskell said. Reading this, Haskell and her husband didn’t question it. They mentioned the new procedure at their son’s next pediatrician appointment. This decision unknowingly set them on a pathway that led to the death of their 15-year-old son, Lewis Blackman. 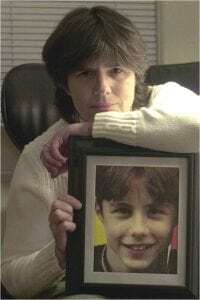 Helen Haskell holds a photo of her son, Lewis Blackman, who died after surgery in 2000. A standout student and a gifted performer, Lewis died when a post-surgical pain medication known as Toradol created a perforated ulcer in his abdomen and he bled to death. In the aftermath, and after finally gaining some understanding about what had happened, Haskell went on to form Mothers Against Medical Error, a patient safety advocacy organization. 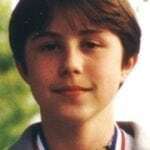 Lewis’s death was nearly 18 years ago. 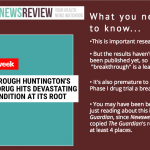 Since then, many of the journalistic flaws we write about every day on HealthNewsReview.org reappear in news stories (and certainly in PR news releases)–and just keep getting repeated, including stories about the type of surgery that Haskell’s son underwent. 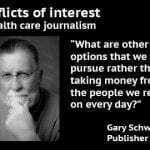 Haskell’s story shows just how high the stakes are when journalists on health care stories become promoters rather than independent analysts–and how long this problem has been in place. For this reason, we chose Haskell’s story to be our first in our ongoing new series examining patient harm from misleading media messages. “In my case it was very clear, we responded to an article in the newspaper,” Haskell said, noting she saw the same misinformation repeated on the web page of the hospital. After her son’s death, she began researching the surgery extensively, and quickly realized how misled she was. Fast forward to 2018, and the Nuss procedure is still given soft coverage by some journalists who write about it. In the articles we read, there is little–if any–discussion of the potential harms, even though the procedure involves inserting a metal bar into the chest of a (usually healthy) child, and leaving it there for two years. Media messages can cause real harm to real people. On our series page, see more stories like Helen Haskell’s and share your own. “The main questions I get are: ‘Are you able to play baseball afterwards?’ Yes, you can. The rehab is a little bit long. You’ll be in the bed for about a week, but after that, if you’re doing the proper rehab things, you’ll be back in no time,” Melville is quoted as saying about the procedure. This same lack of scrutiny permeates this Myrtle Beach Sun News story about a young South Carolina boy who had the procedure and whose mother was raising funds to pay for it. The piece never mentions any potential harms, though it spends ample time discussing the things that can go wrong from the condition itself. While it’s good to hear their experiences went so well, it’s misleading that these articles leave readers with the impression that everyone will fare similarly. This side view of a teenager’s chest shows how the metal bar–which should be curved outward to the right, to push the chest out–has instead rotated upward. 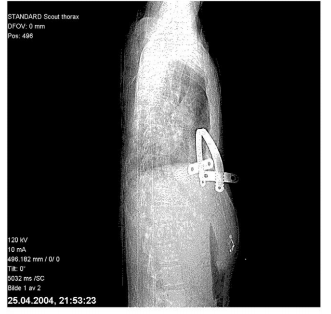 This teenager nearly died from a torn aorta. His case was documented in this journal article. “In addition to rare published reports of serious complications, the authors became aware of unreported events that were shared via personal communication at local and international meetings,” the study authors state, hinting at how hard it is to pin down complication rates. One of the authors is Donald Nuss, who pioneered the surgery in the late 1990s. 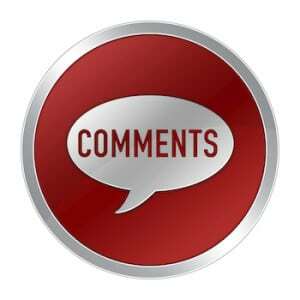 “When obtaining informed consent, an honest and thorough discussion must be held with the patient and family that includes the indications for surgery and expected benefits as well as all possible adverse events, including massive bleeding, cardiac injury and possible death,” the article states. One of the things that makes it hard to know how dangerous a surgery is (besides the fact that no one is officially tracking them at a national level) is that patients may have the procedure done at a major pediatric center, get sent home relatively OK, yet experience a complication and go to their local hospital. It’s something pediatric intensive care specialist and HealthNewsReview.org contributor Alan Schroeder, MD, of Lucile Packard Children’s Hospital Stanford, has seen in the pediatric ICU. “I took care of a previously very healthy child a few years ago who underwent the procedure at an outside hospital, and who, like Helen Haskell’s son, wound up suffering a devastating event during the recovery process, which prompted transfer to our ICU,” he said. 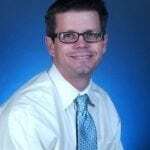 Schroeder is currently doing research on third molar (“wisdom teeth”) extractions, another procedure where reliable data in the medical literature on major adverse events are hard to find, even though these events do occur. Until recently, the Nuss procedure was mostly performed on children, who tend to respond better to the surgery due to more pliable chest walls. But there are signs it will be marketed to adults more and more–increasing the need for journalists to be critical when approached by their local hospital centers to write about it. The article gets points for disclosing the costs of the surgery, and making it clear that the long-term benefits and harms of performing the procedure on adults is unknown. But the only mentions of specific harms are that it’s “painful” and that in about 5 percent of cases, the chest wall sinks in again after the bar is removed. It’s otherwise a glowing report on the experience of one patient. Perhaps the most disturbing aspect of the story is how it frames it as opening up a “new market”–that market being adult human beings. Again, it’s news that sounds like marketing more than journalism. 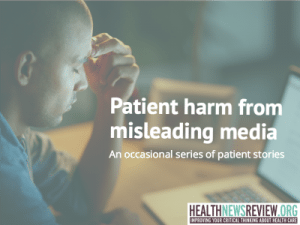 In this series you will hear from other patients–and from health care professionals–who believe they have seen how misleading media messages cause real harm to real people. We’re pursuing those stories because we don’t want to look back after another 18 years–the time that’s elapsed since Helen Haskell’s son died–and see the same recurring flaws as often as we see them today. I’m totally glad to see this topic explored, but…I wonder why this boy’s pediatrician didn’ tsay more to the mother? Or did he, and was not really heard? No details were given about that part of the story. Perhaps the pediatrician was shilling for the clinic, but I’d like to know more about this aspect. Also, the fact that the bleed wasn’t dealt with properly is the fault of the hospital/staff, not necessarily the procedure itself, no? To me, this piece suffers from some of the same problems that this great site reports on. So, while there are always inevitably countless details that get left out of any story that doesn’t run the length of the Bible, we still devoted more than 1,400 words (one of the longest pieces on our site) just explaining Helen Haskell’s story, background on the condition in question, and examples of how news stories are still doing a superficial job reporting about it. Ms. Haskell recalls that it was a promotional newspaper story that launched this tragic episode. So, in the grieving mother’s estimation, there may not have been any blame, any bleeding, any procedure had it not been for the newspaper story that lured them in and started them on this path. Please note: we found new fawning stories about the procedure nearly 20 years after Haskell’s son’s death. And we found a new medical journal article stating that “major adverse outcomes are underreported” with the procedure. So, yes, there are many other questions that could be asked and details that could be pursued. 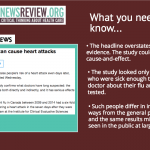 As publisher, I don’t see that this piece did anything other than what we’ve always set out to do – to help journalists and the general public to improve their critical thinking about claims made about health care interventions. I doubt you’ll find another publication that has pursued the angle of patient harm from misleading media as thoroughly as we have.